Among the issues to be heard by the Orthodox Churches at the June 2016 Great and Holy Council in Crete is the situation of the Orthodox diaspora. The Council will be working with the document on the diaspora promulgated by the fourth pre-conciliar gathering in Chambésy in June 2009. This document called for a swift canonical resolution to the current organization of the Church in the regions of the diaspora so it accords with Orthodox canon law and ecclesiological principles. 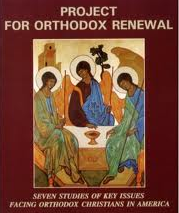 The 2009 pre-conciliar gathering implemented a temporary solution by creating episcopal assemblies (2a) in regions of the diaspora to promote common action and witness to the unity of Orthodoxy without depriving the member bishops of their “administrative competencies and canonical character” (5). It is not immediately clear whether the June 2016 council will propose a permanent canonical solution or bless the continued work of the regional episcopal assemblies. In order to arrive at the canonical and ecclesiological ideal envisioned by the bishops in 2009, several issues and potential actions should be considered. The first matter is the one of nomenclature. 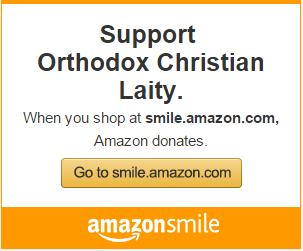 The notion of an Orthodox diaspora is questionable. Some Orthodox faithful retain strong connections to their native countries and Churches, but large numbers of the Orthodox faithful in these regions are either converts or are far removed from the identities of their immigrant forefathers. Inscribing a uniform diasporic identity upon all Orthodox of these regions may be convenient for summarizing their relationships with mother Churches, but it is problematic when one considers the reality of evolution in identity. The identities of many constituencies of these Churches are in a complex process of evolution. Many immigrants established deep roots in their new homes as citizens of their new countries who had arrived with a commitment to settling permanently and did not seek to return to their ancestral homelands. An honest assessment of diasporic Church life will also demonstrate development in congruence with local culture. The reality of organic ecclesial development in regions outside the territories of the mother churches poses two immediate implications for the deliberations of the June 2016 council. First, there is a need to address the assumption of a kind of ecclesial “satellite” status of the Churches in the so-called diasporic regions. If these Churches have experienced organic internal development since their original establishment, one can surmise that their conformance to the liturgical traditions of their respective mother Churches has also changed. The second implication is a product of the first: if one accepts the thesis that the regional Churches continue to adapt and grow organically, then continued acceptance of interim canonical remedies for their organization compromises mission. In other words, the perception of diaspora Churches as satellite entities which depend on the mother Churches results in the absence of an anchor in mission, since the regional Churches must continue to propagate the mission of the mother Churches without reference to the conditions of local culture. Furthermore, a continuation of reliance on the mission of the mother Churches contributes to the hegemony of ethnic identity outside the context of the mother Church and therefore opens the door to ethnophyletism within Orthodoxy. The 2009 pre-conciliar decision to organize the regional Churches into episcopal assemblies was designed to propel movement towards the emergence of permanent regional structures. Practically speaking, the regional assemblies call for the bishops to meet and work together, which requires them to rehearse the processes of formulating unified responses to local issues. This kind of local collaboration is an important aspect of being a local, canonical Church. Individual bishops are not free to act in ways that would compromise collaborative measures, and perhaps this was a healthy suggestion to promote synodality and cross-ecclesial accountability among the bishops (compare 2c with 5). Such efforts fall short of achieving the ideal, though, since the work of the episcopal assemblies lacks authority on account of the provisional status of the regional structures caused by the continued dependence of individual bishops on their mother Churches (5 and 6). Here are five suggestions presented to the June 2016 council for the Orthodox Churches of the diaspora to take the next logical step towards the establishment of canonical structures. First, we encourage the bishops to consider discarding the word “diaspora” in describing Orthodoxy in these regions. Removing “diaspora” from the description of these Churches simultaneously honors their ongoing formation of identity and provides the space to end their dependence on mother Churches. Second, we hope the bishops will encourage the regional Churches to articulate their own specific missions which meet the demands and realities of their local contexts. While the mission of a regional Church should continue to attend to the pastoral needs of new immigrants, who remain connected to their mother countries and Churches, the freedom to formulate a mission which does not impose the cultural context of a mother Church on an Orthodox minority could contribute to the catalyzing of an emerging local Church appropriate for its region. Third, the mother Churches should allow for increased participation of the smaller regional structures in the life of global Orthodoxy. The regional Churches cannot rely solely on the deliberations of mother Churches external to their local contexts on pastoral and canonical matters. The particular evolution of Church life in these regions demands their participation in constructing their own futures. Fourth, we urge the Council to consider the potential benefits of reciprocity. Orthodox Churches who are minorities in these regions might contribute perspectives to the mother Churches in unexpected ways. Last, the Ecumenical Patriarch himself should oversee the process of transforming the current diasporic structures into united and canonical local Churches. The Ecumenical Patriarch’s exercise of primacy has the capacity to ensure participation and reciprocity to integrate the regional Churches into global Orthodoxy more fully. The forthcoming Great and Holy Council of the Orthodox Church has an opportunity to definitively address the situation of the Orthodox diaspora. By enabling and encouraging the Orthodox bishops and faithful of these regions to articulate and fulfill their own missions while continuing to minister to immigrants, the Council can enrich global Orthodoxy’s unified witness, diminishing ethnophyletism and encouraging the renewal of mission. This essay was sponsored by the Orthodox Theological Society in America’s Special Project on the Great and Holy Council and published by the Orthodox Christian Studies Center of Fordham University. Radu Bordeianu is Associate Professor of Theology at Duquesne University; Will Cohen is Associate Professor of Theology and Religious Studies at the University of Scranton; Nicholas Denysenko is Associate Professor of Theological Studies and Director of the Huffington Ecumenical Institute at Loyola Marymount University; Brandon Gallaher is Lecturer of Systematic and Comparative Theology at the University of Exeter; D. Oliver Herbel is a chaplain in the North Dakota Air National Guard and pastor of Holy Resurrection Orthodox Church in Fargo, ND; Kerry San Chirico is Assistant Professor of Interfaith and Interreligious Studies at Villanova University. Read more essays for the Orthodox Theological Society in America’s Special Project on the Great and Holy Council at publicorthodoxy.org.